These new kits go beyond video security. Anyone looking to monitor their home’s security, toddler’s well-being, and everything in between will be pleased to know that Samsung’s adding a few new options to its already robust security camera portfolio at CES 2017. Whether you’re new to home monitoring, or you’re looking to replace your existing, outdated system, the Wisenet-SmartCam A1 Home Security System looks like it could be a compelling option. It comes with both an indoor and outdoor camera, to insure that your home’s basic sight lines are covered. On the indoor side of things, there’s a 1080p HD camera with a 130-degree field of view that can be used on its own or attached to an included panning base. 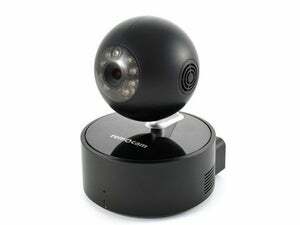 While on its base, the camera can pan 350 degrees and track moving objects within user-designated security zones. 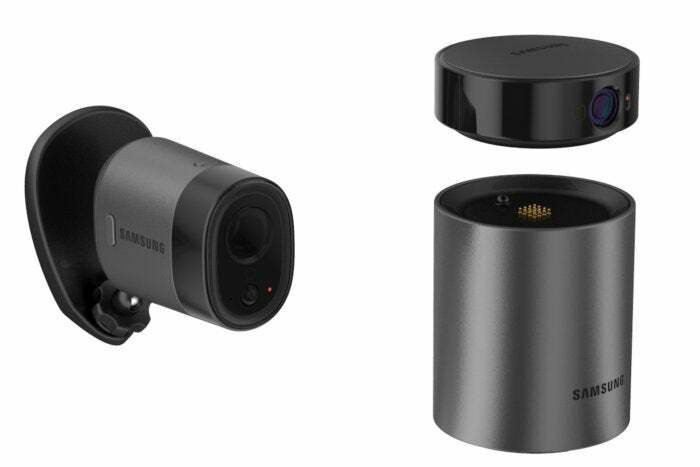 The battery-powered outdoor camera captures video in 720p—not as nice as 1080p, but it’ll likely get the job done. Details on the Wisenet-SmartCam A1 Home Security System’s specs and price are slim to none, at this point. But we expect to hear more about both in the weeks to come. Got a baby? Want a baby? Maybe just like watching folks in your home with the obsessive, paranoid eye of a nervous first-time parent? Welp, Samsung’s got some toys for you, too. Their PR contacted us to say that they’ll be showcasing three new BabyView baby-monitoring systems in Las Vegas this week, each of includes 720p HD remote-controlled cameras that can pan 300 degrees and tilt 110 degrees. Don't miss our in-depth reviews of all the best home security cameras. The BabyView SEW-3053W includes the 720p HD camera and a touchscreen monitor to keep caretakers abreast of what their babies (or pet raccoons—we’re not here to judge) are getting up to in the next room. Further up the food chain is the BabyView SEW-3055W. It comes with the camera, touchscreen monitor and a Bluetooth watch that’ll fire off vibration alerts to notify users of sounds in the monitored room. Finally, there’s the nuclear option: the BabyView SEW-3057W. It comes with a camera, touchscreen monitor, Bluetooth watch, and an environmental sensor that allows users to assess a room’s temperature, humidity, and air quality to ensure that your raccoons—or baby—are wreaking havoc in the most comfortable environmental conditions possible. Again, not a lot of details to share with you on this hardware—yet. But we’ll get back to you with prices and additional specs as soon as we can pry them out of Samsung.